Melissa Cienega (left) and Michelle Leon display the two sets of pig lungs they will use to educate students on the dangers of smoking. The lungs on the left are normal healthy lungs, and the set on the right are lungs that have been continuously exposed to smoke. The two students from STC’s Respiratory Therapy program have been selected as regional ambassadors for a smoke-free initiative, and report for training in Washington D.C. in April. Truth Initiative has awarded funding to 154 minority-serving institutions and community colleges and women’s colleges to advocate for a 100 percent smoke-free and tobacco-free environment. 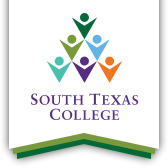 South Texas College will use the $20,000 grant to form a college taskforce to carry out project activities that involve educating and engaging students, faculty, and staff. Truth Initiative is building a national movement among students, faculty and administrators to address smoking and tobacco use at college campuses throughout the U.S.. Melissa Cienega and Michelle Leon are students in the South Texas College Respiratory Therapy program and were selected as Ambassadors for the project. Following training with Truth Initiative in Washington D.C. in April, student Ambassadors and project staff will be tasked with informing students about the smoke-free initiative at college events, including student orientations and activities at the Nursing and Allied Health campus. The college will look to engage at least 2,000 students in student-led tobacco prevention, education and tobacco-free campus policy advocacy activities including educating others about lung health. The goal of the student engagement component is to inspire youth and young adults to use their creativity and social influence to spread the truth about tobacco. Ninety-nine percent of all smokers start smoking before the age of 26, making college campuses a critical part in the fight against youth tobacco use. Since 2015, the Truth Initiative Tobacco-Free College Program, in partnership with CVS Health, has awarded more than $1.8 million in funding to colleges prevent young adults from starting tobacco, help tobacco smokers quit, and reduce everyone’s exposure to secondhand smoke. “The grant from Truth Initiative has set us up for success, and I’m positive we can achieve our goals,” said Gabriel Peña, Respiratory Therapy Program Chair at South Texas College.